Siddarth Kaul (3/23) stood out for the visitors as he took wickets at regular intervals to help his team edge Mumbai. 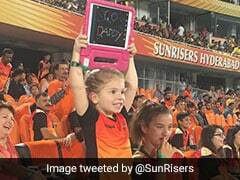 Sunrisers Hyderabad produced a stunning bowling performance under pressure as they defended a small total of 118 to beat holders Mumbai Indians by 31 runs in a low-scoring but engrossing IPL match on Tuesday. Mumbai bowled out the visitors for a paltry 118 in 18.4 overs but then made a heavy weather of the modeset target on a lively Wankhede Stadium track to be bowled out for the season's lowest total of 87. The visitors' depleted bowling attack struck to their task brilliantly to bundle out the strong home team batting line-up in 18.5 overs as Mumbai slumped to their fifth defeat in six matches. This was the second lowest total defended in IPL history. 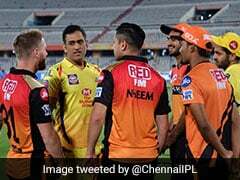 Suryakumar Yadav (34 in 38 balls) and Krunal Pandya (24 in 29 balls) were the only batsmen to prosper to some extent against the fired up Sunrisers' attack sans injured lead bowlers Bhuvneshwar Kumar and Billy Stanlake whose IPL season is over. 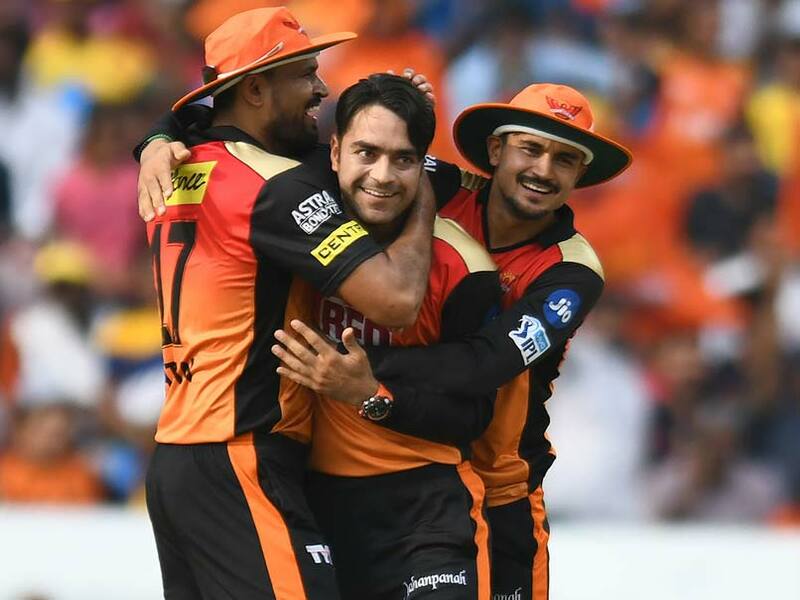 Leg-spinner Rashid Khan bagged two wickets along with Basil Thampi while medium pacer Sidharth Kaul grabbed three. Sandeep Sharma, Mohammed Nabi and Shakib Al Hasan took one wicket apiece. The victory, the fourth for Sunrisers, lifted them to the third spot on the table while MI remained rooted to their seventh spot with just two points from six games. The modest run-chase saw the hosts lose the wickets of Evin Lewis (5), Ishan Kishan (0) and skipper Rohit Sharma (2) for single digit scores inside the power play period. Lewis was caught at gully off Sandeep Sharma while Kishan and Rohit fell to the off-break of Nabi and left-arm spin of Shakib respectively. 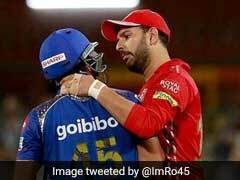 Yadav, MI's most consistent batsman of the season, repaired the damage to some extent with Krunal Pandya who hit a few sparkling drives for fours before being trapped leg before by leggie Rashid Khan who also accounted for Kieron Pollard (9). The departure of Pollard at 73 for 5 in the 13th over left MI with a tricky task which became more daunting when Yadav was caught in the deep while pulling Thampi after striking 4 fours in his 38-ball knock. MI needed 42 for victory at that time. 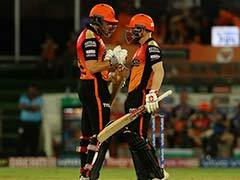 The rest of the Mumbai batsmen were not up to the task with Kaul grabbing three wickets as Sunrisers romped to a sensational win. Earlier, Mumbai bowled and fielded with purpose to bowl out a depleted Sunrisers for a measly 118. The visitors' batting came a cropper against a determined home side bowling. Captain Kane Williamson (29 with 5 fours), Yusuf Pathan (29) were the main scorers for the Sunrisers that lasted 18.4 overs after they were invited to bat. Mitchell McClenaghan, Hardik Pandya and Mayank Markhande picked up two wickets apiece to pack off the visitors for the season's lowest total. 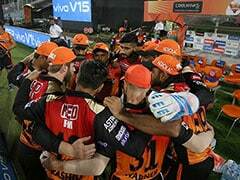 The Sunrisers started in encouraging fashion with their in-form skipper Williamson striking Jasprit Bumrah for two fours in successive balls in the first over. 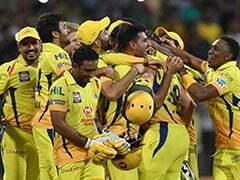 But the visitors lost the wickets of Shikhar Dhawan (5), back in the eleven after missing the previous game against Chennai Super Kings due to an elbow injury, and out-of-form Wridhiman Saha (o) in three balls in the second over from Mitchell McClenaghan. 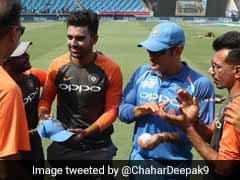 Dhawan, who was struck a painful blow on his knee cap off the third ball, threw away his wicket in the next ball by trying to drive the left-arm bowler who then struck again with the last ball to have Saha caught behind for a duck. From 20 for 2, there was a brief recovery to 44 for three before the visitors lost two more wickets in quick succession. Manish Pandey (16) was caught at extra cover off Hardik Pandya and then Shakib Al Hasan (2) was run out with a direct hit to the bowler's end by Suryakumar Yadav. At the end of power play, the Sunrisers were 46 for four. 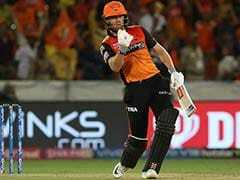 The dismissal of captain Williamson, who seemed to carry on from the brilliant 84 he made against CSK, in the ninth over off Pandya left Sunrisers tottering at 63 for five. 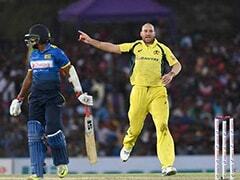 Pathan was the last batsmen out after facing 33 balls and striking one six and two fours.